Our field fence or farm fence is designed to withstand stock pressure in specific grazing applications. 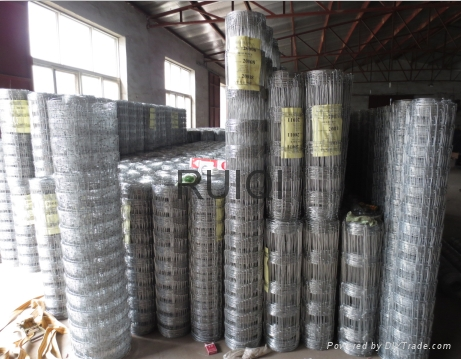 It also known as hinge join fence, sheep netting, sheep fence, and woven wire fence, are offered in a wide variety of heights and styles that feature graduated spacing that starts with narrow openings at bottom which prevents the entry of small animals. Now, our factory can manufacutre both mild steel and high tensile hinge joint fence for customer choose. Mild Steel Stock Fencing is still used is many agricultural fencing applications across the worldwide. Although high tensile fencing is now generally preferred, mild steel fencing may still be suitable in certain situations. 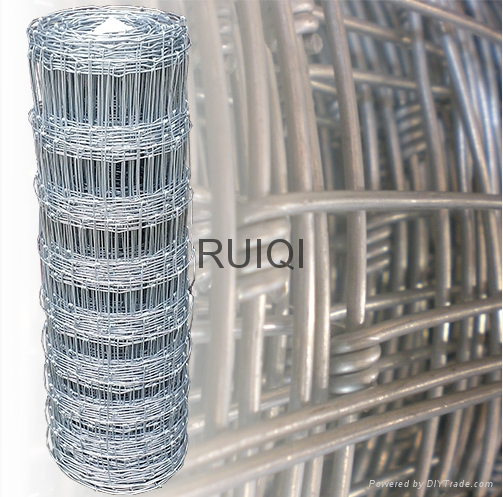 High tensile woven wire fences are more expensive but will not sag or stretch as readily as standard woven wire. They are more resistant to rust and are considerably lighter in weight. 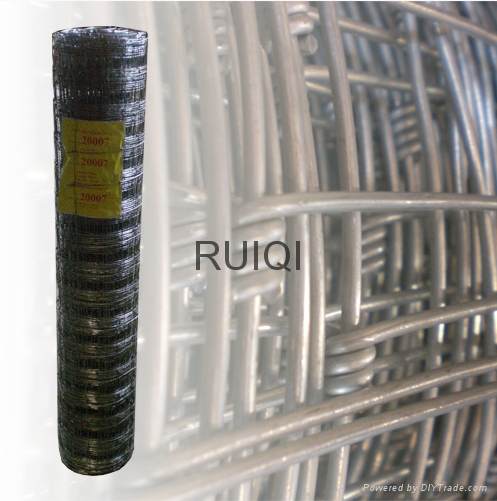 Less fence posts are needed with high tensile woven wire.